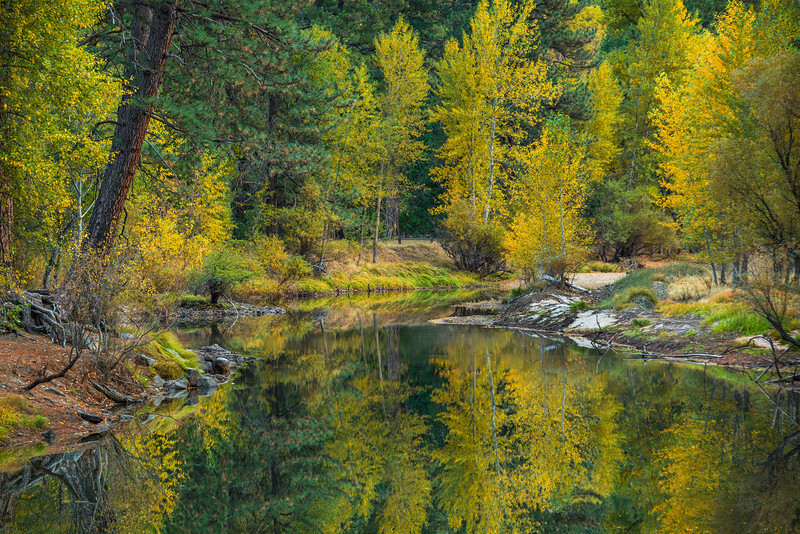 "Merced River in Fall" Yosemite National Park Hopefully a sign of how things should look this fall! This image is from November a few years ago. Just love fall colors and reflections! Feel free to share and let me know if you like it. Nikon D800, Nikon 70-200mm f/2.8 @ 140mm. ISO 100, f/6.3 and .3 seconds exposure - with a tripod of course!! 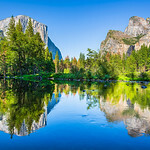 Copyright John Harrison Photography — at Yosemite National Park.